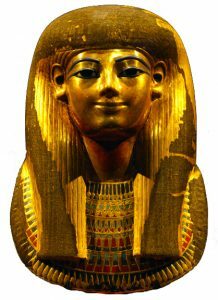 One of the autosomal ancestry markers prominent in the Royal Egyptian families of the New Kingdom, this not-so-rare gene is Central African in origin and was passed to Thuya from her forebears, Queens of Upper and Lower Egypt and High Priestesses of Hathor, the Mother Goddess. Thuya passed it to her grandson Akhenaten and great-grandson Tutankhamun, among others, as documented in a forensic study of the Amarna mummies by Zahi Hawass, head of the Supreme Council of Antiquities in Cairo, in 2010. Today, its highest incidence is in Somalians at nearly 50%. It is found in 40% of Muslim Egyptians. On average, 1 in 3 Africans or African Americans carries it. It crops up in high concentrations in many places around the world such as the Basque region (41%) and in Melungeons (31%, similar to Middle Easterners), but is present at only low levels in East and South Asia, as well as Native America. Its lowest frequency is in the Chukchi of Siberia (3%). 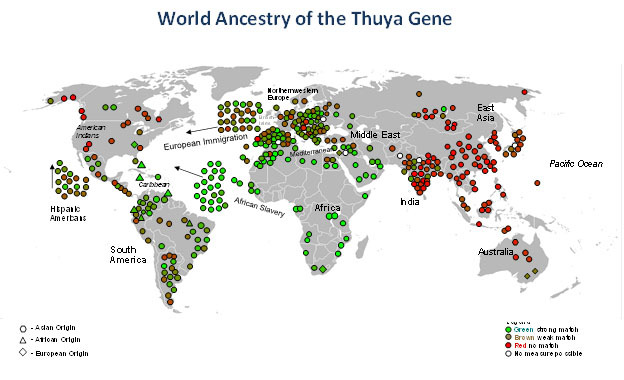 The Thuya Gene is Sub-Saharan African with a low frequency in North Africa and the Old Near East and spotty distribution elsewhere except it is uniformly low in India and points east.